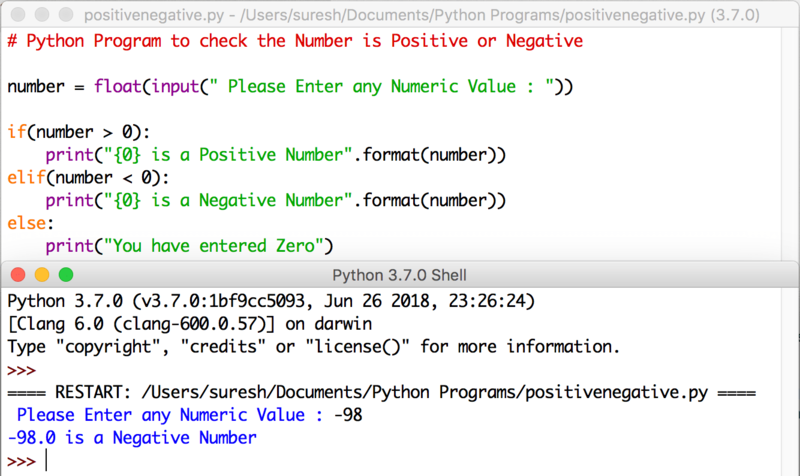 In this article, we will show you, How to write a Python Program to check Number is Positive or Negative with practical example. Below statement ask user to Enter any number. First Condition: If (number > 0) check whether the given number is greater than 0. If it is true then it is a positive number. If both the above conditions fails then it is 0.